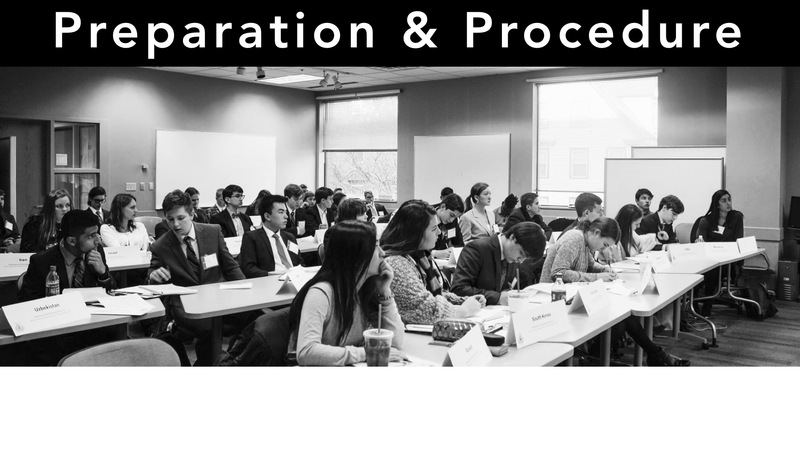 BUSUN recognizes that being well-prepared and knowledgeable is just as important as debate skills in a Model UN conference. Although delegates are not expected to show all of their research to their committee chairs, we suggest that delegates print and annotate some research materials for reference during committee sessions. All delegates are required to submit a position paper to their committee chairs in advance of the first committee session. We hope that all delegates will familiarize themselves with the topics and positions outlined by their committee chairs before arriving to campus. Position papers should be 1-2 pages in length per topic, written in size 12 Times New Roman font with 1 inch margins. All delegates should email their positions papers to the committee chair email listed in their background guide by November 1, 2019 at 11:59 PM. Delegates are still eligible for awards as long as they submit their position paper by the beginning of the first committee session on Friday, November 8 but they will not be guaranteed feedback from their chair. Chair email addresses can be found at our committees page or in your background guide. Position papers should be submitted in .DOC, .DOCX, or .PDF format. Files should be titled in the following format: School_LastName_Position (e.g. "BrownHS_Smith_DISEC.pdf"). Citations and works referenced should be clearly listed at the end of all position papers. We prefer that these references be formatted in Chicago or MLA style. BUSUN takes plagiarism seriously — plagiarized content may result in delegate disqualification from awards, or in serious cases, entire delegations may not be invited in future years. Delegation should write a position paper for all topics assigned to their committee - this may not hold true for all specialized or crisis committees. Please consult your committee background guide for more information. Read your committee background guide thoroughly and make sure you have a firm understanding of the topics and questions to consider. These will be important discussion points during committee. Reference the cited links, books, and articles that your chair used while writing their background guide. If there is a particular article in the background guide you are interested in that you can't get access to please email your chair. They might be able to help. Try doing a Google Books search of your positions and topics. If possible, visit your local or school library. Use online databases, such as JSTOR or EBSCOHost, to access articles published in academic journals. Focus your research on explaining the ideas and solutions you will bring to the issues at hand. Your chairs have done their background research already and are primarily interested in the innovative ways in which you will be approaching committee. Contact your chair with any questions! They have been preparing all year for this conference and are knowledgeable about their topics. While emailing them is not a substitute for doing your research, they should be able to answer questions that may arise while you prepare for the conference. Contact information can be found here.